Most Chablis is aged in steel tanks cement vats or old oak but here it is aged in old Acacia barrels. The Acacia wood is used because it is less aromatic than oak so allows the wine aromas to come to the fore. Acacia also provides some tannins to the wine to give additional texture. 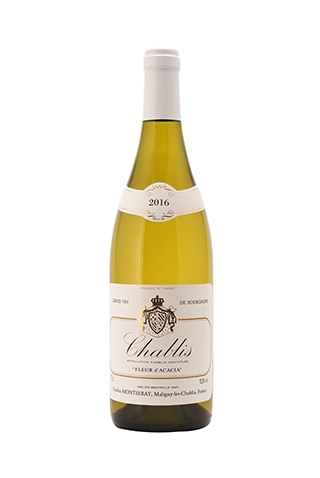 The resulting Chablis has a delicate spice from acacia but this lies beneath the citrus and mineral elements of the fruit and a textured dry palate. This has a gracious harmony and a long dry sumptuous finish.